I spent Saturday afternoon promoting the History Book Part One album via my laptop while listening to Torquay United playing away against Woking on BBC Radio Devon. It was very stressful and I had difficulty concentrating on the promotion possibilities, the promoting of the new album and the possible promotion of Torquay United football club. Despair when I heard that Torquay had hit the woodwork and then Woking scored, followed by elation when we equalised via Jamie Reid, further despair when Woking went ahead by two more goals ( I nearly switched off the radio, there's only so much that a Gulls football fan can take! ), hope when Torquay got a second goal near the end of the game ( the vision of John Cleese in a ditch in the film clockwise comes back once again... I can cope with failure it's the hope that I can't endure or something along those lines. Any supporter of TUAFC should be able to relate to this sentiment ), joy when Torquay get a very late equaliser, and total relief when I hear the game has finished. Oh and I can get back to concentrating on The Legendary Ten Seconds. Well it was another crunch game! There's another one next weekend at home to Eastbourne. Back to some music. The next day, Sunday afternoon, 7th April I recorded myself playing acoustic rhythm guitar for my new song about Richard III's mother. I have recorded two versions, one in F# and one in E. I've done this because I'm not sure which is the best one for Jules Jones to sing. I went through this new song with Jules last week and I think we decided that E was better for her but I didn't make a note of it and it might be that it was F#. In the evening Fleur Elliott came over to my house and I recorded her singing some backing vocals on a song called 'The Act of Accord'. The song is about Richard III's father being killed at the battle of Wakefield, so yes another jolly tune with miserable lyrics. I recorded the song several years ago but have now decided that most of my guitar playing on it was total rubbish and have deleted the worst of it as well as my singing but retained Jules Jones as the lead vocalist. 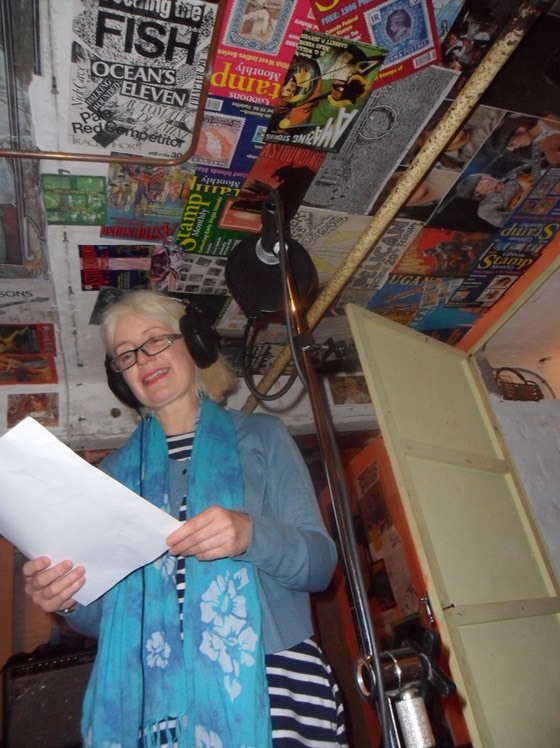 Also recorded Fleur singing on a track about the most famous of the Roger Mortimers ( the one who deposed Edward II ). The song is called 'A Rare Romance' and didn't make it onto the Mer de Mort album but perhaps it could be included on History Book Part Two? This morning Bridgit England visited me so that I could record her singing on some of my songs. 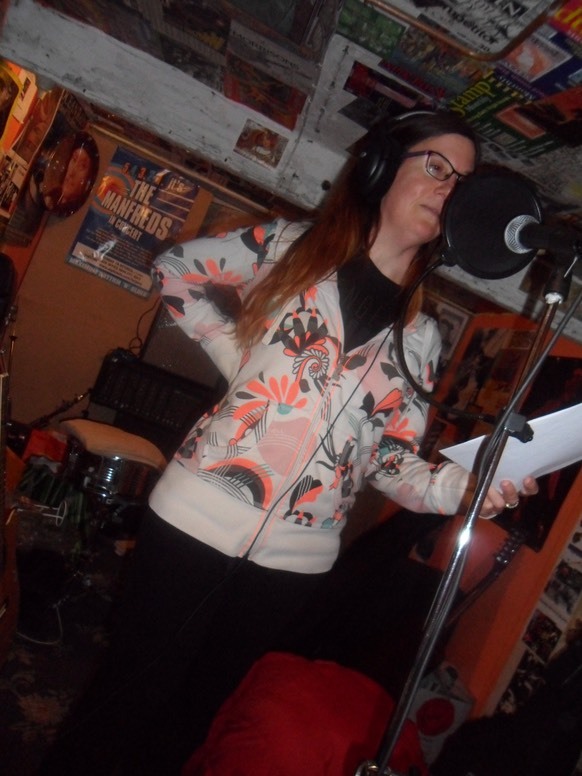 She has let me record her singing lead and harmony vocals on 'I Greet You Well', lead and harmony on 'Fatal Match' and a harmony vocal on the chorus of 'The Act of Accord'. I have changed the lyrics and chords of 'Right Trusty Sister' and turned it into 'I Greet You Well'.